Microsoft will shake up Windows Mobile when it offers a glimpse of the mobile OS' future at February's Windows Mobile Congress. Speaking at the Microsoft showcase in London, Windows Mobile's David Weeks told TechRadar that he was looking forward to revealing to the world what the future of Windows Mobile would be – but that the details would only emerge early next year. 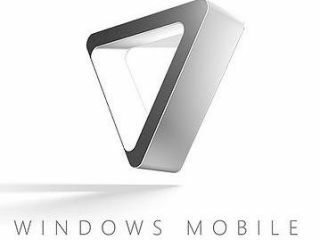 "You'll be surprised at what's going to be happening with Windows Mobile," enthused Weeks. "It will all be based around our plans for the consumer and will deal with the future roadmap of Windows Mobile, but I can't tell you much more than that. "We're all really excited about it and it will really shake things up." Windows Mobile 7 is scheduled to be released next year, but in the meantime some high profile handsets that utilise Windows Mobile 6.1 have hit the high street and are selling well. Sony Ericsson's Xperia and Samsung's Omnia both use Windows Mobile 6.1, although both handsets have added their own proprietary graphical user interface to proceedings. "Windows Mobile 6.1 is very much a PC experience," added Weeks. "I think that still fazes some people when they use a Windows Mobile device." Of course, 2009 could also be the year in which Windows 7 hits – so it's fair to assume that whatever Microsoft is bringing to Windows Mobile, it will be looking to its future big brother.